What do you eat during training? This is a common question I get from friends, athletes I coach, and blog readers. It’s a question from genuine curiosity – many are wondering to get ideas of how to fuel their running – that I’m always eager to answer. In short, I eat everything. I think many of us have constructed an image, based off of diet trends and social media, of a dainty runner who eats a green smoothie for breakfast, fat-free salad for lunch, and skinless chicken breast with beets for dinner. No dairy, no gluten, no alcohol, no red meat. When in reality, the diet of most elite endurance athletes is quite the opposite. When Matt Fitzgerald surveyed the diets of elite endurance athletes across the globe – from America and Switzerland to Kenya and Brazil – he concluded that one of the overarching patterns of eating was eating everything. “There are three reasons why you should follow the example of… elites and eat everything. First, eating everything is healthy. Second, eating everything is natural. And third, eating everything is enjoyable.” – Fitzgerald, The Endurance Diet. You certainly do see some ultra runners opt for low-carb and high-fat diets or veganism, but a majority of endurance athletes eat diets rich in carbohydrates with lean protein and healthy fats. Superfoods and clean eating may be the bread and butter of many recreational athletes, while elite runners eat shockingly normal foods – pasta, steak, bread, and the like. A recent article in Outside covered the pre-marathon meal choices of Boston’s top elites, including Desi Linden, Meb, and Jared Ward. Their pre-marathon meals included pasta, potatoes, red meat, chicken, eggs, and rice – foods that, while nutritionally dense, aren’t “superfoods” and would make both Paleo proclaimers and vegans cringe. Desi also noted that she’s “not opposed to a beer” in the days leading up to her goal race. We can learn a lot from the habits of elite athletes – the importance of running truly easy on easy run days, the priority that rest and recovery take in the training process, and the benefits of eating everything and not restricting food groups. When I was 20 and again when I was 24, I attempted to donate blood. As an overall healthy individual – no smoking, moderate alcohol consumption, and at a healthy body weight – I didn’t anticipate any issues. But both times, I was turned away from donating due to low iron levels. Concomitantly, I wasn’t eating red meat at either of those instances. When I was 20, I experimented with cutting red meat out and minimizing my poultry consumption of my diet for ethical reasons; when I was 24, I ate a primarily vegetarian because of balancing healthy eating with a grad school grocery budget. It strikes me as an incredible phenomenon that we can live in a country with so much food and yet see so many nutritional deficiencies such as anemia, osteopenia, and the like in otherwise healthy and well-fed individuals. I was overall healthy back then and thankfully I didn’t experience any negative repercussions, but I learned that eliminating a certain type of food didn’t equate to being healthier. Since then, I’ve added back in red meat in moderate, sustainable amounts. Back in 2015, I temporarily cut out dairy, when I realized the milk I used in my morning oatmeal caused stomach aches. I felt better, but I also began to worry about my bone strength. I know that many people argue that you can get sufficient calcium from broccoli, spinach, and kale, and while I enjoy all of those, there’s only so many cups of leafy greens I can eat per day to meet my individual needs. I added back in dairy, primarily in the form of yogurt and low-lactose cheeses such as cheddar, feta, and goat cheese, for the benefit of calcium and probiotics. Oddly enough, making sure I ate yogurt almost daily improved my stomach. I still don’t consume milk regularly, but I also don’t restrict dairy at all – I’ll enjoy ice cream, whipped cream on pie, or cheese on my pizza. I try to minimize my added sugar intake, for both health and athletic performance. I have been diagnosed with both lean PCOS and endometriosis, which warrants being a bit more careful about sugar intake. I don’t think there’s anything wrong with having dessert if the rest of your diet is high quality, I simply choose to not eat sweets often for that reason. I make my own bread, peanut butter, hummus, etc., don’t use many condiments, and choose unsweetened organic yogurt (Stonyfield) to further minimize unnecessary sugar. Still, I obviously eat some sugar in its natural form – the nutrients in fruit outweigh the sugar and I enjoy some 85% dark chocolate each day. I don’t restrict baked goods when I want them, which may be weekly or just on special occasions like holidays or after races. You better believe I eat enjoy that donut after a race or a chocolate chip cookie when the craving strikes on the weekend. Cutting out sugar completely would be overly restrictive, even for me who often prefers savory to sweet. Many of us runners are on the thinner side as it is – restricting certain food groups can lead to an energy imbalance or nutrient deficiency. Depending on your mileage and intensity, your nutritional needs are far different than those of someone sedentary or even lightly active. Quite simply, the most effective change I have ever made to my sports nutrition is to eat everything. I’ll eat kale salads for lunch most days and then have a bratwurst and fries on the weekend. I aim to eat my 6-9 servings of fruit and vegetables and then enjoy a pint of craft beer or a glass of red wine at night. I may be more aware of eating high quality in the weeks leading up to a race and laxer about my nutrition in the week after a race or during the holidays, but overall I strive for this balance year-round. By not eliminating any food group, I don’t eliminate any certain nutrient. I don’t create stress about my diet or deprive myself. This simple change over the past several years has helped me run faster times across all distances, qualify for Boston, and never have to take a break from running due to injury or overtraining. Note: I am not a certified nutritionist or registered dietician. I am a certified running coach. What’s the biggest change you’ve made over the years to your nutrition? Do you eat everything or follow a particular diet? I think I have definitely moved in a similar direction as you. 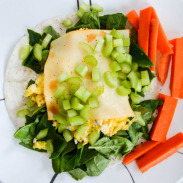 My challenge is that I am still a bit of a picky eater, even though I’ve come a long way. I was also told I had low iron a while back, and at the time I wasn’t really eating red meat. Now I eat red meat several times week, but we try to buy grass fed (sometimes organic) ground beef. Variety is definitely important for good nutrition, as is allowing yourself to enjoy whatever food you are eating! Enjoyment is a huge factor! I eventually missed red meat when I didn’t eat it. so you know I went vegetarian (with extremely occasional fish) 5 years ago. It was an amazing change for me with so many great health benefits that I don’t want to ever go back. however, sometimes I do think I will return to red meat on occasion. It’s a really tough call although it shouldn’t be. Why cut things out forever, you know? unless it’s allergies or health reasons, eating something once in a while shouldn’t be a big deal. at least that’s where I’m leaning lately! I agree – unless there’s a real food allergy or serious health reason, there’s not reason to restrict. Red meat has tons of benefits, even just a few times per month. I notice a difference even when I just forget to purchase it for a few weeks. It amazes me how restrictive some people’s diets are. It seems like everyone wants to have a food “label”. Gluten-free, vegan, paleo, keto, etc. Whatever happened to the days of just eating? 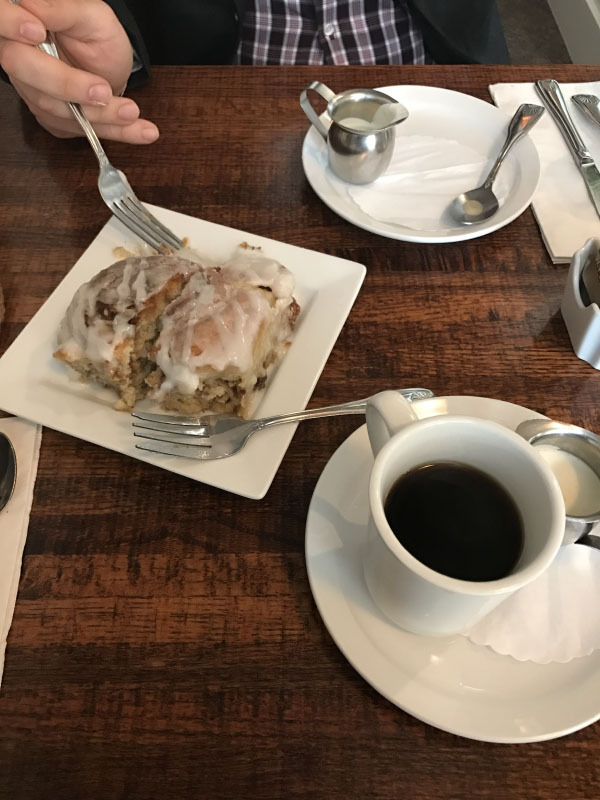 If I want it, I eat it, within reason of course and not an excuse to eat nothing but junk because we all know that results in feeling (and running) like junk. I don’t eat red meat… I just don’t like it and the texture is weird to me, I don’t know- but if I wanted it, I would eat it. I do eat a lot of seafood because I live near the water. Most of all, I think we should stop overthinking it- the body is pretty good at getting what it needs and using what it gets. YES. 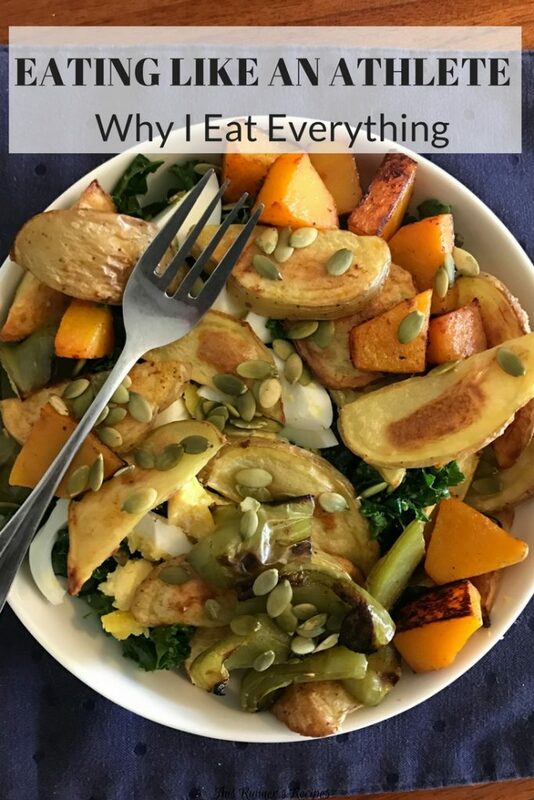 There are so many labels… I really don’t overthink eating much – like yesterday I ate two salads with potatoes on the side because that’s what I wanted – but what inspired this post was thinking about how much athletes tend to overthink food. Then again, most of us runners are a bit type A and tend to overthink everything! You know I eat absolutely everything and I think it’s necessary to have balance. None of these fad diets last when they cut out whole food groups! I have been preaching that for years but, most people need to figure it out for themselves. However, part of the fun of all this activity is finding out what works food-wise. It’s a never ending experiment and changes as you age! And that’s probably one of the reasons that you probably stay injury-free and continue to improve! It’s is an experiment to figure out the exact foods – some foods (like beans for me) work at times but then not at other times! Same here – I can’t do broccoli on a regular basis, so I have kale instead (which I love). 100% grass-fed yogurt!!!!! YIPEEE! I cannot eat dairy… But my dairy-loving husband obviously can, so whenever I buy dairy for him, I always make sure it’s 100% grass-fed and full of omega-3 fatty acids!!! And now that I know Stoneyfield does it YOGURT STYLE, I know what to get him for some afternoon snacks! 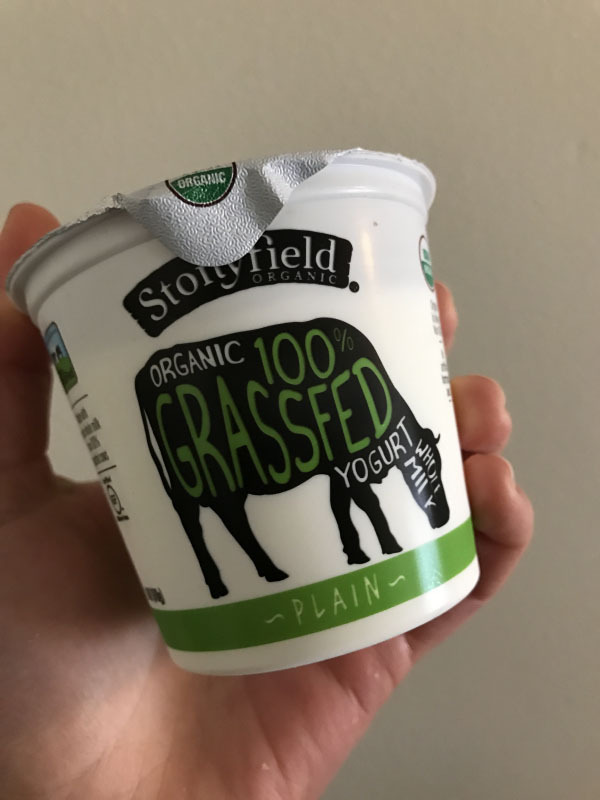 I love Stonyfield’s grassfed! They make the best yogurt and I love how it’s organic and they don’t add much sugar. The one thing that comes to mind when I think about changes to my nutrition is the fact that I didn’t start drinking alcohol until I turned 30 (in 2008). Around this time was when my marriage was falling apart (I didn’t drink because of that—it’s a good story but too long for a comment), and it was also around this time when I started training for a BQ, got one, and went to Boston. 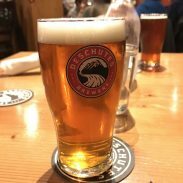 For some reason, when I had a beer, I was able to eat more texture and spicier things like chicken wings, mushrooms, etc. The pint would take the edge off of the weird little squishy bits. Over the years, I got used to the different textures of food and I eat a lot more meat and veggies that I ever had before! Interesting, eh? But until 2008, I’d stick to very plain and boring foods because texture bothered me so much. That is interesting! I would have never thought of you not liking spicy food since I know you love curry probably even more than I do. I think it was in the same book at Fitzgerald said alcohol (beer or red wine) is good for taking the edge off of athletes. Food is more than just about the physical nutrition! I have never in my life restricted my diet. I’ve always eaten whatever I wanted. Even during my three marathon training cycles, my diet never really changed, I just ate more. That said, I still wouldn’t say I have great eating habits, especially as we’re going through a stressful move and doing a lot of “convenience eating”. I think eating better is not about cutting out food groups, it’s about not overindulging in any of them. That said, my diet does need some cleaning up before training starts. In with the greens, out with the processed fast food! It’s all about finding that balance – more greens certainly don’t hurt! Moving does through a wrench in everything – especially into a house! I’ve gone through various phases of cutting out and restricting foods – some for honestly, no reason at all other than perceived health benefits and others for legitimate food sensitivities and to improve digestion. I’m back to eating everything (while limiting dairy… because lactose intolerance! Haha) and as Matt says, it is just more enjoyable. Seeing a sports nutritionist really helped remind me that taking out food groups, especially as an endurance athlete, is generally not a good idea. It is so much enjoyable! That’s great how much a sports nutritionist was able to help you! Yes, there have been many days since beginning to work with you that I feel like I will eat anything put in front of my fact. And something must be working right if my performance was not suffering…and I was not starting to feel any injuries pop up. I went through a vegetarian/sometimes vegan phase. I didn’t really enjoy eating meat dishes so I stayed away from it. It would bother me so much when people would try to put a label on how I ate. One day I just decided I was going to eat what I wanted. If a burger sounded good. I’d eat it. Now we eat grass fed or organic red meat at least once a week. Unless you have an allergy or just want to play around with finding what makes you feel better, eating a variety of whole foods is your best bet. A variety of foods is best – even from an enjoyability standpoint, it can become really monotonous to eat the same few foods over and over again. I’ve been a vegetarian my whole life and don’t think I’ll ever go “back” BUT that said, I also eat EVERYTHING else. 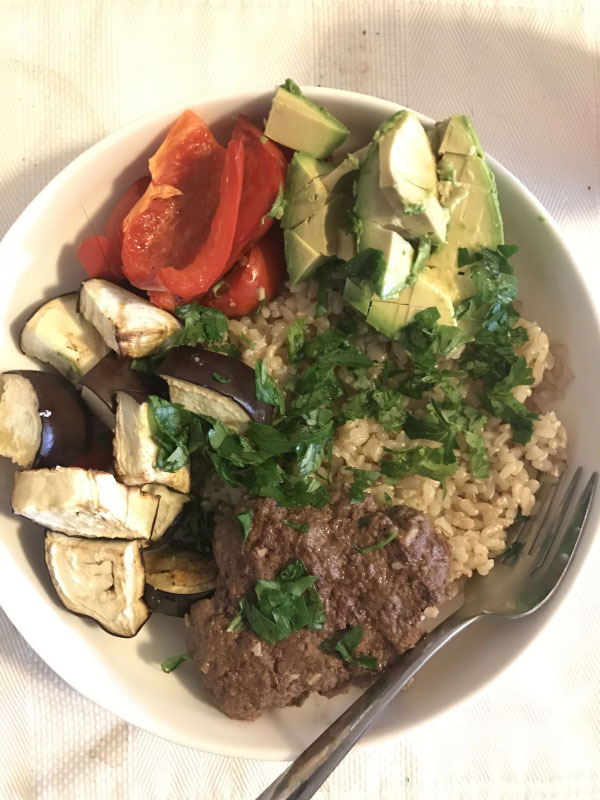 I try to eat really balanced, whole foods but at the same time don’t believe in restricting or being too heavy handed with labels – in other words, if I’m traveling and something could have fish sauce in it, I won’t NOT eat it. I try not to be too precious about anything in my life. Enjoying food without worrying about labels is part of enjoying travel. At least in what I’ve encountered, most cultures don’t have the labels we do – and it’s well worth forgoing those labels to enjoy their food. YES to #eateverything! 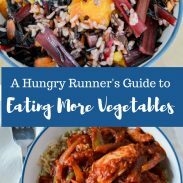 I love when I hear elite runners talk about eating gummy worms and other random things…we should eat what we want, and if it works for you, that is awesome! I met an elite runner in October at a retreat and she talked about how much she enjoys candy as part of her diet – it’s amazing how moderate the diets of elites are! I also eat everything and sometimes wonder about what I could/should/etc limit. I’m working with a great coach right now and her take was also eat everything, drink coffee, have a beer, be normal. I was SO appreciative of that approach. Love seeing this mindset in your blog post as well! Thank you! I tell the same thing to my athletes – eat high quality overall but don’t restrict unless a food allergy requires so. Coffee has so many performance benefits that it’s certainly worth including! I love this so much, Laura. I am a big fan of “everything in moderation” and I have never attempted to cut something out of my diet completely (and I would only do so when something would create discomfort). I think the trick to a healthy, nourished body is to draw from all different food sources that are available! Thank you, San! Restricting any one food group – dairy, meat, or grains – restricts a whole bunch of nutrients. Our bodies were made to eat from a variety of food sources! I think this is important for many runners to see! I model the same with my eating behavior – I eat what tastes good and what makes me feel good, which is a little bit of everything. That’s what’s maintainable for me!